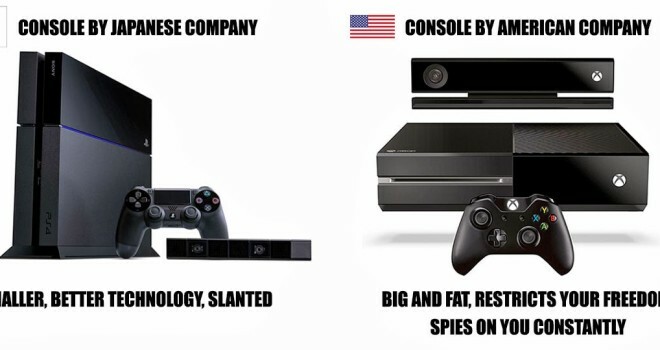 Its so big, you have to add “the” to it, welcome….to the Console Wars, making gamers everywhere turn against each other, because they are force to choose which brand to buy, or support! 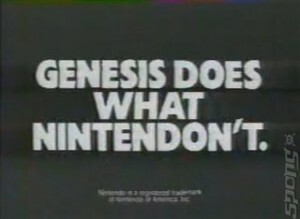 The Console Wars have been going on longer than most of us gamers have been gaming, at least for the most part. But, its been a natural thing, something thats been apart of gaming forever, we all remember at one point in our life time as actually being gamers arguing with a friend or strangers online about which gaming console is the best. Now, there are so many different arguments and opinions you can form to deciding a legitimate reason why you prefer a specific console, such as: the brand name, the company name, the appearance, the exclusives, the hardware, controller, functionality, weight and size, all of that I would say are the most used and brought up in an argument about the consoles. I believe having choices or having the ability to make a choice is really awesome, the freedom…is awesome, but how many choices do we really get to make when it comes to our games? 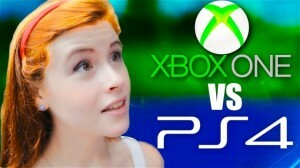 You have about four major choices you can make in deciding what type of gamer you’re going to be: PS, Xbox, Wii, PC = Sony, Microsoft, Nintendo, and the different computer companies, and than theres the console or computer gamer. I think its a choice that shouldn’t really matter, nor should seem almost like a “life” decision. 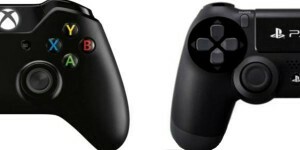 For me starting off as a young gamer with no job and no money, I always relied on my parents to purchase the next-gen console and all the accessories and games I wanted to go with it, but all of it was so expensive that once you went down one road, you wouldn’t be able to come back, because after purchasing the pricey console, came along with the exclusive accessories and video games that either was equivalent or went over the price of the actual console price your; or at least my parents would not go out and buy the other console, because you decided you didn’t like it anymore. It was disappointing because you picked PS2, because it was cheaper and had more games, but Xbox looked so “cool” and had Halo that you could never play, because of the exclusiveness to Microsoft’s Xbox. 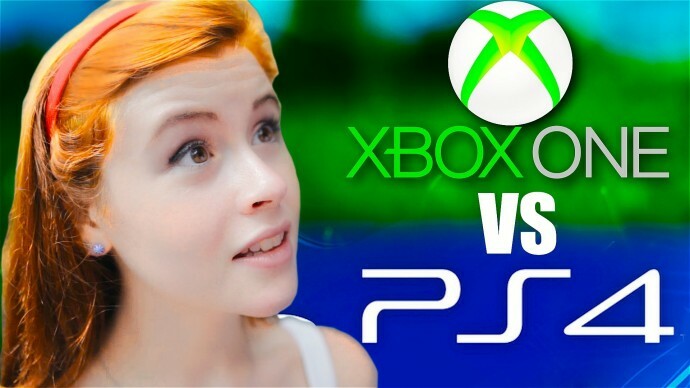 Console Wars is really just “Company Wars” and its just how the monetary, competitive market we live in is, not that its such a bad thing, but it isn’t always a good thing either. But its important to gamers and effects us, because these company wars can make us, the gamers and the consumers miss out on the full gaming experience and holds back the potential of gaming and the gaming industry. 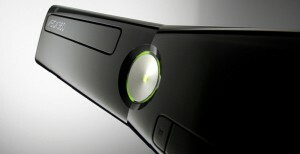 The gaming industry is a booming industry that gets bigger and stronger as technology does. Gaming is another way to experience social interaction with people not just within your “bubble,” but around the world. What I’m trying to get at with this and Console Wars is that the only reason these “wars” exist is so one company can have more power, money, dominance over a market, than their competitors, but by doing so can potentially hurt that specific market. 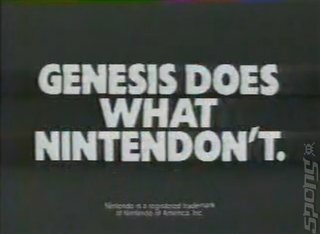 Because all of major gaming is controlled by very few companies, we have very little choice with what console or gaming device to buy, and how we “experience” the gaming experience, because each company limits us to their brand only, which limits again the experience, the interaction, not just socially, but with you and the game itself. I truly believe gaming inspires creativity, because we’ve seen countless games that look a like, play a like, but are totally different in their own unique way. And with that, I think its safe to say as gamers, we also like to play in our own creative way. Anywhere from how we actually the game itself to our actual gaming set-up, we take pride in our own creativity ideas we implement in our gaming style and the “equipment” we use physically in the real world to have more enjoyment in the virtual world. But unfortunately we are limited to what we can use in the physical realm of things, and I think mainly because of the company control over their product and “their” industry, the gaming industry. Gamers can’t customize their controllers, consoles, headsets (thats a long shot, I’m guessing on that one), and all the other physical tools we use to play our beloved games. Even from that, what about the games itself, PC gamers have it a little different, but for console gamers espeically we can’t adjust, edit, play, mod, patch, fix, mess, or whatever the word to the video game itself and if we do, we are at risk of legal actions. As I’ve stated before, gaming is an interactive experience, so do you think we should have the ability to interact with how the game plays to at least an extent or the console itself. Gaming is an always improving entertainment, it is never perfect, but it also inspires us to play around with the imperfections and add our own twist of things. Gaming shouldn’t have to take such a heavy hit, because of company rivalry, come on, that stuff “is for the birds.” Gaming should be easily accessible without having to drop hundreds of dollars plus a membership to even “game” and have to be restricted by nonsense policies that are only in effect, so the companies can make more money off you. I really believe gaming has very little freedom to player, unless they have big dollar signs backing them up and it shouldn’t be that way. 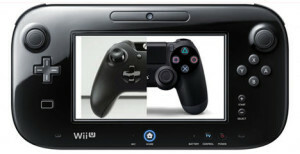 Console Wars shouldn’t even exist, there shouldn’t be such a heated debate on which console is better, because all these next-gen consoles are almost identical and they’re both playing the same game, the money game, so why should we even be “rooting” them on, or supporting them in this 2-3 decade war, I just don’t get it.